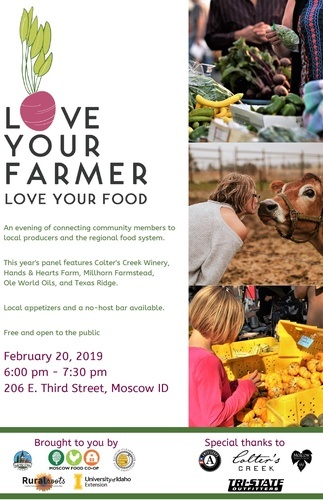 Join us for the fifth annual "Love Your Farmer, Love Your Food" - an evening of connecting community members to local producers and to their regional food system. This event will be held at Moscow City Hall in Council Chambers. Featured in this year's agricultural panel are vegetable, livestock, grain, and grape producers. Guests may enjoy light appetizers from the Moscow Food Co-op and a no-host bar by Moscow Brewing Company. 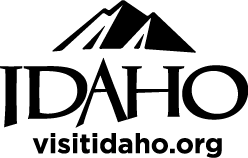 Brought to you in partnership by the City of Moscow, Moscow Food Co-op, Palouse-Clearwater Food Coalition, Rural Roots, and the University of Idaho Extension.